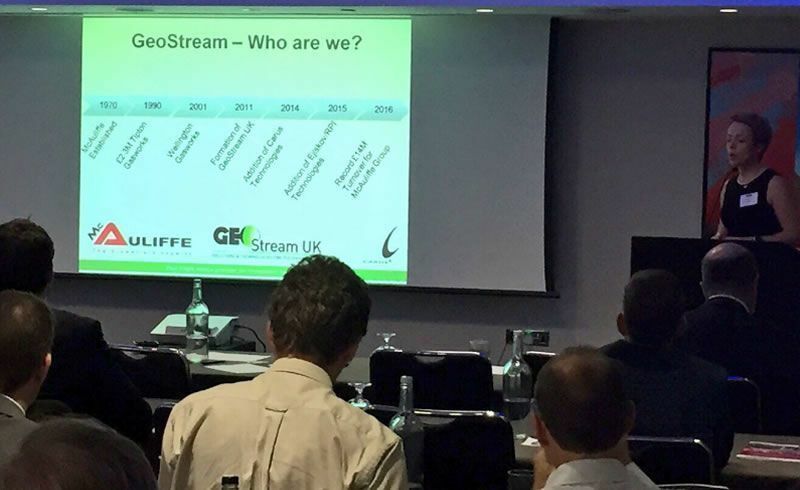 GeoStream UK recently joined industry leaders to present at Brownfield Briefing’s Brownfield Remediation 2016 conference. In order to select the correct strategy for your site, you must understand the challenges faced. These can include: source mass characterisation, a good conceptual site model (CSM) and technology selection. When assessing insitu solutions, further considerations include access to the site, injection volumes that need to be applied, onsite mixing and a requirement for dangerous chemicals, and if there is a need for multiple mobilisations. Persulphate is a very popular choice of oxidant, because it can target a broad spectrum of contaminants. However there are downsides to consider. Persulphate needs activating, requires high volume injections and is an aggressive chemical. It also produces sulphate, is hard to mix and handle on site (posing health and safety risks) and does not support follow-on bioremediation. Modern technologies are easy to use, improve performance and provide greater surety of results. One of the best is GeoStream proprietary product, Oxygen BioChem (OBC) ™ - a mixture of sodium persulphate and calcium peroxide that may be used for in-situ chemical oxidation. Its high solubility (up to 40%) gives greater flexibility in the volumes of material applied. There is no requirement for additional chemicals on site, as calcium peroxide provides the alkalinity for base activation. Calcium peroxide also delivers a long term, slow release source of oxygen, supporting long term bioremediation following initial chemical oxidation treatment. Finally, resulting calcium hydroxide increases the total dissolved ion concentration, reducing potential for leaching metals and precipitating sulphate produced during persulphate consumption. This treatment easily overcomes the aforementioned negatives associated with persulphate. GeoStream’s technology catalogue includes technologies available from Carus and Redox Tech as well as Ejlskov. This means clients have access to UK-exclusive technological solutions, alongside expert advice from GeoStream’s remediation specialists. The GeoStream team offers a complete design service to complement its technology catalogue. Coupled with its in-house BIM (3D GPS) enabled engineering plant, GeoStream can undertake complete top down source removal, remediation and ground engineering as a total single source service under its own Environmental permits. As the specialist remediation arm of McAuliffe, GeoStream has over 45 years of experience in delivering large scale remediation solutions to UK clients. GeoStream provided a combined physical, chemical and biological remediation solution on a site in Port Clarence. Baseline conditions indicated extensive LNAPL and elevated dissolved phase concentrations, as high as 160mg/L. GeoStream completed a 10 week programme of physical treatment/LNAPL removal + 2 OBC chemical oxidation treatments. A >90% mass removal was achieved.